What does an AKT Franchise Cost? 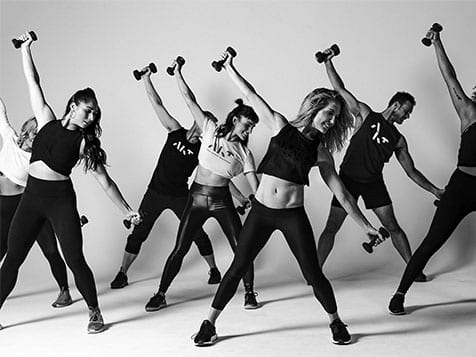 AKT is a unique dance-based cardio fitness concept, with new and original programming created every 3 weeks, founded by celebrity trainer, Anna Kaiser. AKT franchises require $150,000 minimum cash. The total investment ranges from $346,100 to $487,000. Enjoy a recurring revenue model, truly exceptional EBITDA margins and the confidence in the AKT team that has more than 25 years of experience in fitness franchising. Want to bring a new model for fitness to your area? Be the first to open an AKT franchise in your area; a fun, energetic dance fitness concept. With new material created by Anna Kaiser, celebrity trainer and founder, every 3 weeks, members will enjoy the expert instruction and get the results they never thought possible. Developed by Celebrity Trainer Anna Kaiser, AKT is a unique dance-based cardio workout, with new original programming created every 3 weeks by Anna Kaiser. Fueled by positivity and a belief that movement has a powerful, lasting impact, AKT is for all body types and fitness levels. It is a unique combination of dance-based cardio, toning, interval and circuit training. With this positivity and a combination of personal training and movement-based technique, AKT empowers members to become stronger in their bodies, minds and communities — and they have fun doing it! We believe extensive training drives your success - from lease negotiation to build out, recruitment to finance and sales and marketing to sustainable business, you’ll be supported every step of the way! AKT has the brand strength and proven franchise model to deliver excellent profit potential. International and U.S. markets are available for multi-unit and single-unit investors. Experience the joy of owning your own business. Inquire to AKT today.